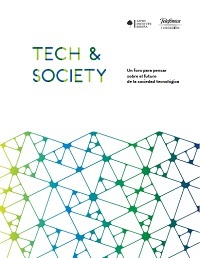 The goal of the Tech & Society program, which was born under the auspices of Fundación Telefónica and Aspen Institute Spain, is to ask questions about how to face the future, and propose some answers. To that end, a forum for reflection has been created with experts from profoundly transforming areas, such as the economy, the world of work, human relations, politics, education, or communication. In this first edition of the program, throughout 2017, seven sessions have been developed in which specialists from different fields have taken part -both in the form of debates with groups of experts, and in conferences open to the public-, whose ideas and reflections constitute the axis of this volume.